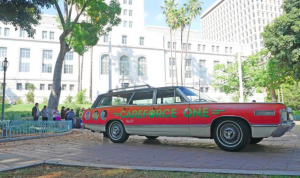 Program Description: Join Oral History Summer School for a screening and discussion of CareForce One, a film and project by multimedia artist, filmmaker, and activist Marisa Jahn amplifying voices of the country’s fastest growing workforce: caregivers. The film screening and conversation afterwards will offer a chance to think about the rights of domestic workers in our community, and explore how we can create a model of care work that moves towards partnership between caregivers and employers. Guests will be provided with free childcare and pupusas from Pupuseria de Maria! Presented by Oral History Summer School, with support from Hudson River Exchange and the Hudson Area Library. For more information, email sabine@oralhistorysummerschool.com. Suggested Audience: All Ages. Childcare provided. Please join us, Saturday, June 17 at 11am, in the Library’s community room for a special presentation in collaboration with Oral History Summer School and OutHudson in celebration of LGBTQ pride with a listening party pre-parade. 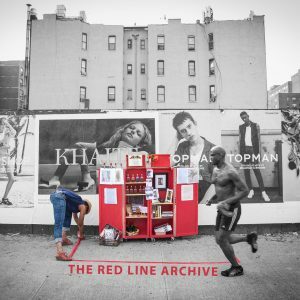 Learn the history of the Stonewall Riots in the words of those who were there. 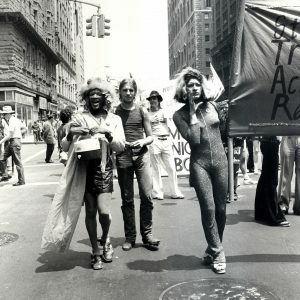 We’ll listen to “Remembering Stonewall,” produced by Storycorps founder, David Isay, followed by a short radio documentary made with LGBTQ teenagers in Columbia County. Area resident Ron Puhalski will be present to discuss his experience during the riots, as well.